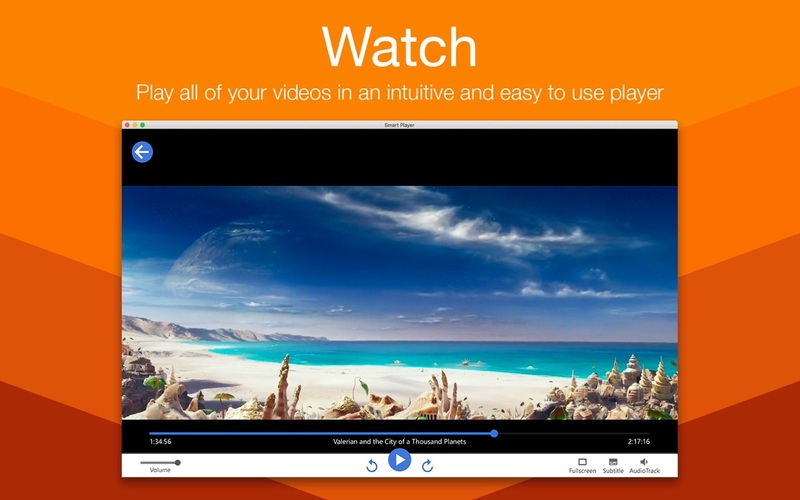 Smart Player makes watching videos on your Mac effortless! It plays all common file types (MOV, MP4, MKV, AVI plus many more) with ease. As you add video files to your Mac, Smart Player automatically adds them to its library. The app recognises movies, TV shows and home videos, and groups them for you. Smart Player automatically downloads artwork for movies and TV shows so your library looks great! What’s more, you’ll never lose you place when watching a video – Smart Player resumes playing right were you left off! WHAT IS SMART PLAYER PREMIUM? • You can manage your subscription in Account Settings after purchase of subscription. Blu-ray Player Pro 3.3.10 – Blu-ray player with extended format support. Elmedia Player GO 6.9.1 – Multi-format media player.